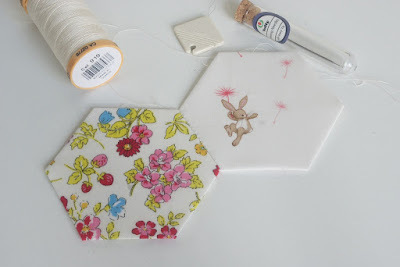 I hope you enjoy making hexagons as much as I do. 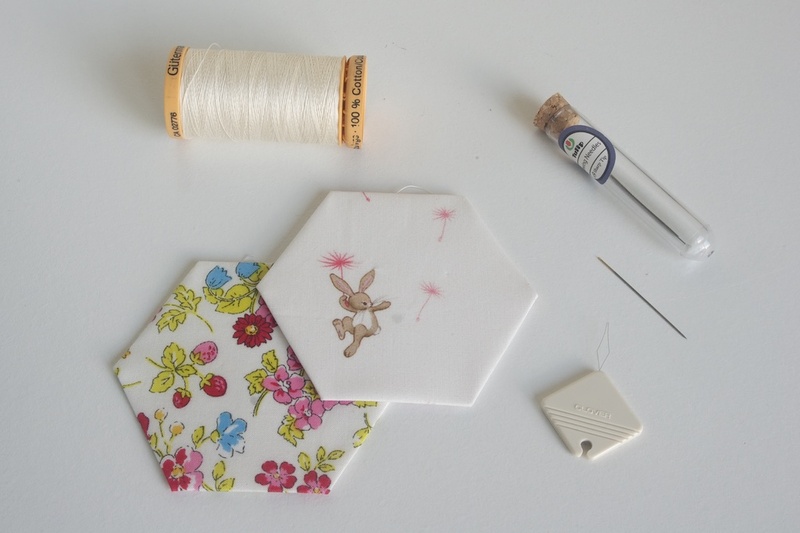 I have a small constantly growing stack of them sitting on my shelf waiting to be sewn into my Hexie Therapy Quilt. Once you have a few hexagons, you can start the most wonderful and satisfying part - hand sewing your hexies together. My best friends for this part are Hiroshima Tulip Sewing Needles #9 Sharp Tip, Gutermann cotton thread #919 and a Clover needle threader. 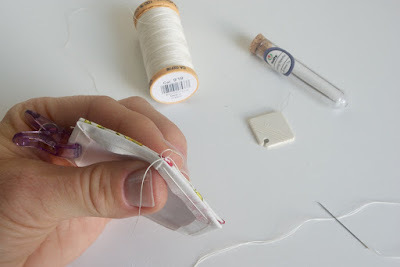 I tried many different supplies, but these ones are the best for me. It's a totally personal preference. 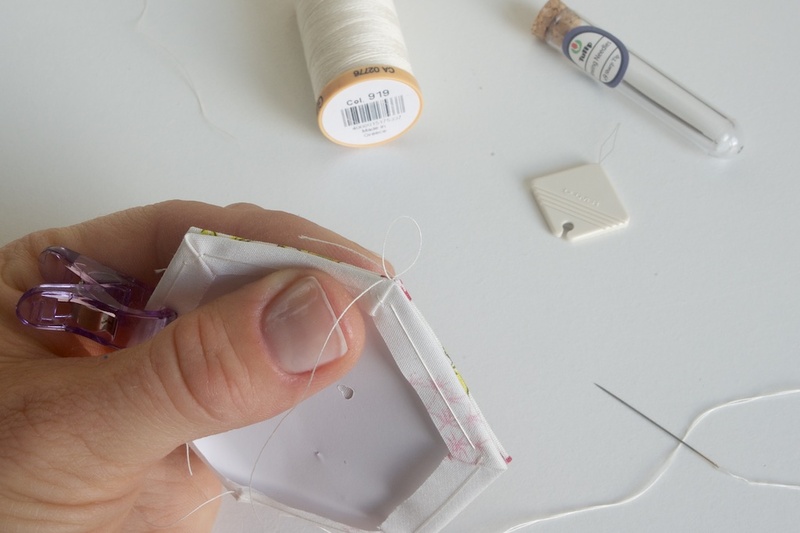 Place two hexagons together, right sides facing, and clip them together using one wonder clip. I do not make a knot at the end of the thread. Start at a corner, make a couple of stitches in place, then place the free end of the thread along the sides of the hexagons and start stitching them together using an overcast stitch making sure to catch the free end of the thread too. 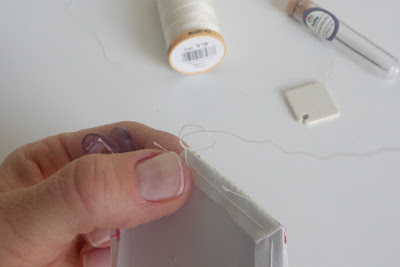 Make a few stitches like this and then you can push the free end down and continue all the way to the opposite end. I place my stitches about 2mm apart at an angle making sure to catch only the fabric and not the paper. 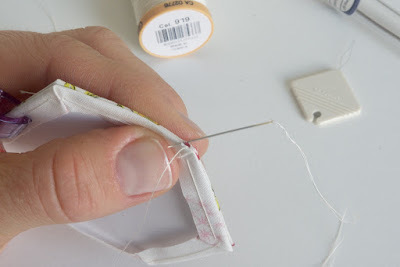 Do not not make your stitches too tight, but at the same time do not let them be too loose. 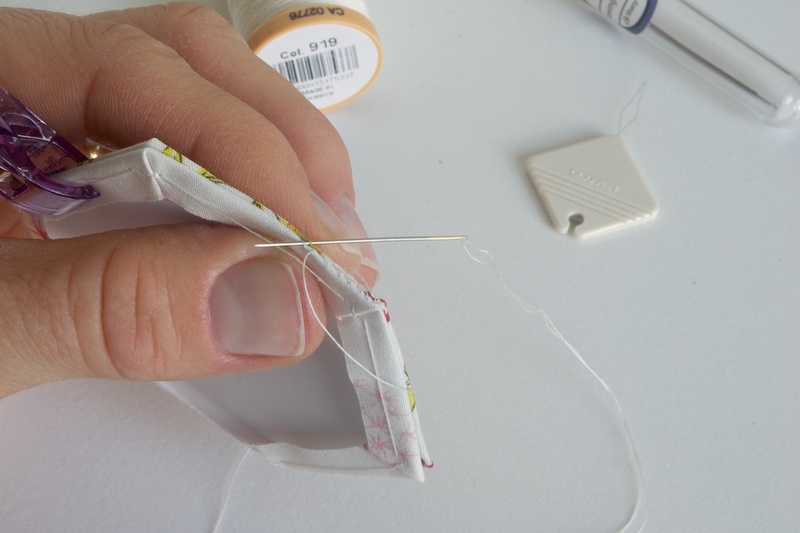 At the end make a couple of stitches in place, make a loop and pull the thread through the loop. 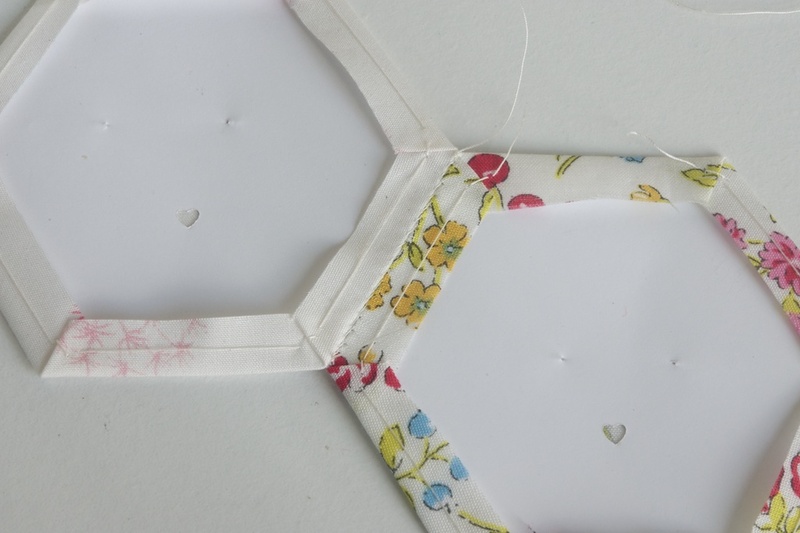 You will have a nice flat seam that is hardly noticeable on the right side of the hexagons.